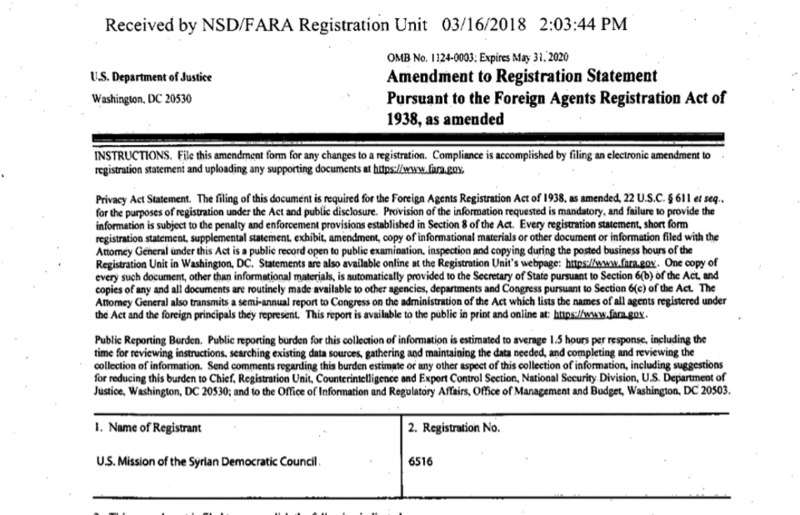 PKK terror organisation’s Syrian offshoot PYD/YPG has filed a request with the US Justice Department to open an office in Washington DC, documents reveal. 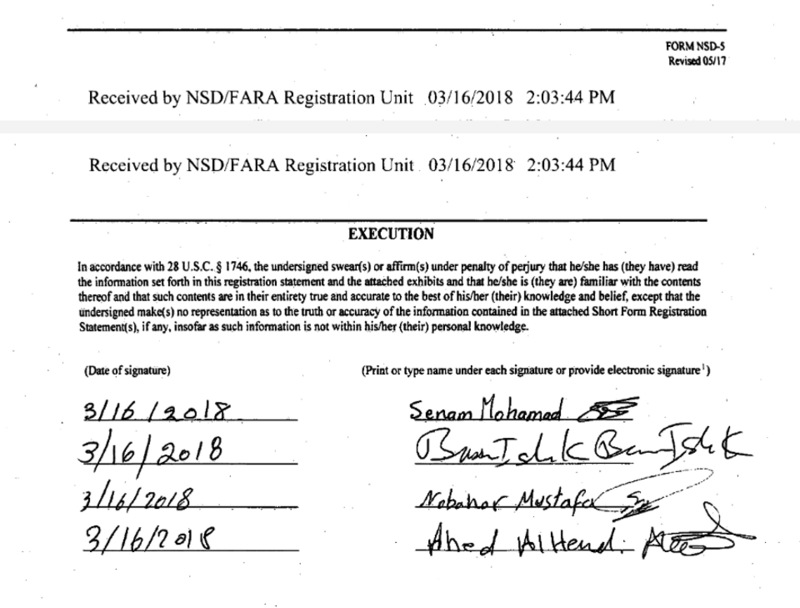 The request was made under the name of Syrian Democratic Council (SDC), the political wing of the SDF (Syrian Democratic Forces) which is dominated by the YPG terror group. TRT World’s Hasan Abdullah has the details from Ankara. 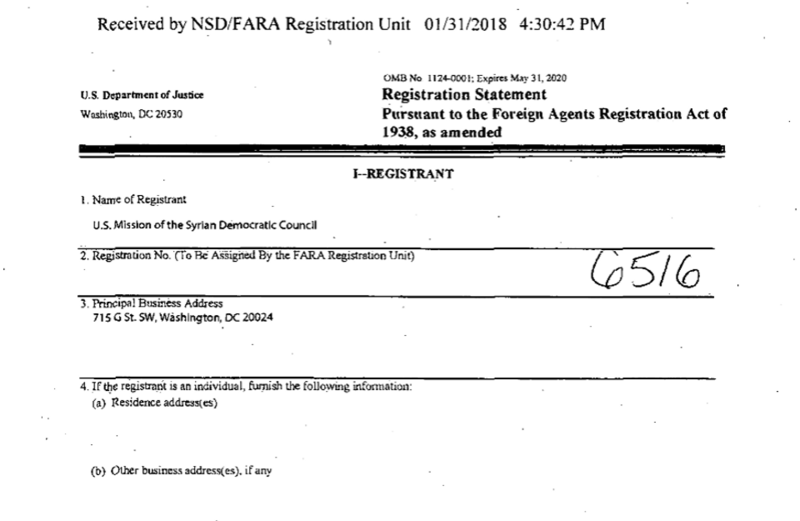 “The legislative agenda of the US Mission of the Syrian Democratic Council will involve efforts to better equip the army of Democratic Federation of Northern Syria (DFNS); improve the region’s counterterrorism apparatus to meet the needs of the post-Daesh era; end the Turkish occupation of Syria; allow the DFNS to operate an international airport; and increase humanitarian aid to the region,” reads the original petition filed with the Justice Department on January 31. Turkey’s foreign ministry says it is aware of the development and intends to take it up with the US State Department. American support for the group has long vexed Ankara, as Washington views the SDF as a “reliable partner” in its fight against Daesh and continues to provide it with arms and equipment in the face of strong objections by Turkey. The YPG spearheads the SDF and is the armed wing of the PYD which is considered by Turkey as the Syrian offshoot of the PKK. The PKK is listed as a terrorist organisation by Turkey, the US and the EU. It has waged an armed campaign against the Turkish state for most of the period since 1984. It resumed its terror attacks in July 2015 after a brief suspension of hostilities. Since then, authorities say it has killed more than 1,200 people, including women and children. Intervene? Or End Syrian War?